Whether you want to develop, relocate, invest, start a business, or simply live in a city that is moving ahead, Greater Dandenong (map) is a ‘great place to be’. 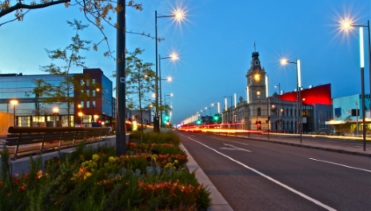 The City of Greater Dandenong is a suburban municipality with a mix of residential areas, large activity centres, extensive industrial precincts and green wedge land used for pastoral activities and water treatment purposes. The industrial precincts form part of one of Australia’s most significant and productive manufacturing areas; and Central Dandenong has long been considered Metropolitan Melbourne’s second city centre. These activities generate many jobs. Greater Dandenong is a major source of employment for the whole South East Region of Metropolitan Melbourne and beyond. This economic profile contains economic and demographic information for Greater Dandenong. For more information, please contact the City of Greater Dandenong Economic Development Unit. The industrial economic data presented in this profile has been sourced from REMPLAN. The City of Greater Dandenong has access to the full version of REMPLAN with economic data for 114 industries and an economic impact modelling capability. For additional information about the Greater Dandenong economy please contact the City of Greater Dandenong Economic Development Unit. Technical questions? Please contact REMPLAN.